Various types of employment laws are in place to protect employees from the many different forms of discrimination that can occur in the workplace. Ty Hyderally chose the field of NJ employment law with the intent of protecting both the worker and the employee. He frequently speaks at various meetings and worksites to educate employees and employers of their rights and responsibilities concerning employment law. Sometimes actions are misinterpreted and what seemed like retaliatory actions were not actually improper conduct. It can be a fine line in many cases which divides an action from one which was committed in retaliation. Such is the case with Harkness v C-Bass Diamond LLC, in which it was decided that the actions taken toward a former general counsel were not meant to me retaliatory in any way. Harkness worked at Fieldstone Investment Corporation which was a company in the process of making an IPO although they had not yet registered with the SEC. Harkness learned that one of the company’s CEOs Michael J. Sonnenfeld had shared information that was considered non-public to a possible outside investor. She conducted appropriate interviews and then reported the incident to the audit committee chairman as she felt this could be in direct violation of Regulation FD. Soon after these transactions occurred Sonnenfeld and Harkness’ relationship began to deteriorate. Harkness alleged that Sonnenfeld became critical of her legal advices and treated her in a hostile manner. The company also began to exclude her from various management actions and meetings and before they terminated her employment they significantly reduced her job-related responsibilities. The presiding judge found initially that her reports of violations of Regulation FD were not supported reasonably by conduct which would be deemed in violation to the relevant law. This was because at the time of the alleged infraction, Fieldstone was not yet a public company. Ms. Harkness did not investigate nor research if Regulation FD was applicable at the time or not before proceeding to the audit committee chairman. She, as general counsel, had the appropriate resources available so that she could have clarified the threshold question but she did not choose to utilize these tools according to the judge. She argued that she could not verify whether or not the company was in compliance with all the legalities since she had been excluded from the management meetings and related events. However the courts did not see this as a “protected” conduct. The judge did agree with Harkness that the company is at a greater risk of overlooking its legal obligations when it tries to restrict the flow of any pertinent information to the general counsel; and that in these situations the risk is great that some legal obligation will fail to be taken care of properly. However, Judge Blake also concluded that this in itself was in no way a violation of any of the federal securities law. Since Harkness could not cite any specific type of illegal conduct the claims she made failed. It is important to be familiar with such cases and what types of actions constitute discrimination or retaliation. Ty Hyderally is an expert lawyer who can help businesses and professionals make these kinds of determinations. A recent U.S. Supreme Court case has broadened the scope of individuals who may be able to raise a claim of retaliation.In Thompson v. North American Stainless, (2011), the Court unanimously held that Title VII of the Civil Rights Act of 1964 (“Title VII”) creates a cause of action for third-party victims of retaliation. The plaintiff, Eric Thompson, and his fiancée had been employed by North American Stainless (“NAS”). Thompson’s fiancée filed an Equal Employment Opportunity Commission discrimination complaint against NAS, and three weeks later, the company fired Thompson. Thompson ultimately sued, alleging that NAS retaliated against him as a result of his fiancee’s complaint against the company. The Court had little difficulty in finding that based on the facts presented, NAS’ termination of Thompson violated Title VII’s anti-retaliation provision, which prohibits an employer from discriminating against any of his employees because he has made a charge under Title VII. 42 U.S.C. § 2000e-3(a). The Court reasoned that Title VII’s anti-retaliatory provision must be construed to cover a broad range of employer conduct. Furthermore, Title VII prohibits any employer action that “well might have dissuaded a reasonable worker from making or supporting a charge of discrimination. Under this broad standard, the Court concluded that it is “obvious that a reasonable worker might be dissuaded from engaging in protected activity if she knew that her fiancé would be fired.” Id. In deciding the second issue of whether a third party can sue for retaliation under Title VII, the Court determined that an employee constitutes a “person aggrieved” and is eligible to bring a Title VII challenge when that person “falls within the zone of interests” protected by the statute. Because Thompson was an employee of NAS and the purpose of Title VII is to protect employees from their employers’ unlawful conduct, the Court found that Thompson was within the zone of interests sought to be protected by Title VII. The Court declined to adopt a bright-line test for which relationships would be covered under this standard. In an attempt to provide at least some guidance, Justice Scalia noted that while the termination of a close family member will almost always meet this standard, retaliation against a mere acquaintance may not. Although it does not establish a bright-line test for third-party retaliation claims, this decision could have an impact upon employees’ incentives to file discrimination claims as well as the frequency of employers’ retaliation on third parties. In creating an independent cause of action for retaliation on behalf of friends and family members who have not engaged in protected activity, the opinion expands the group of employees who can actually file Title VII claims. It is now likely that employers will now take extra precautions when taking adverse employment action against any worker closely related, married or engaged to an employee who has engaged in protected activity. There are many facets to employment law in New Jersey. Perhaps the many changes that occur in the employment and contract law world are what keeps lawyer Ty Hyderally interested in the field. And perhaps this is why he has employment law practices in both New York and New Jersey areas. One such case of interest that was heard before the New Jersey Supreme Court is Anthony Nicosia vs. Wakefern Food Corporation. The debate has been ongoing for many years as to whether or not an employee handbook constitutes a contractual agreement between an employee and a company. There are cases, such as this one, in which there is an implied contract written within the employee manual that is distributed to their employees. Nicosia was a lower level shift supervisor who was fired to mishandling some of the company’s merchandise. He denied that the company had the right to let him go without cause, since he denied the allegations as well. The manual he received at the time of his employment clearly set forth how terminations were to be handled. He maintained that it was an implied contract and termination without cause was not allowed. On the other hand, the Wakefern Food Corporation held to the fact that Nicosia was an “at-will” employee. This meant that they could fire him at anytime with no warning and with or without a single reason. They refuted the wrongful termination accusation by saying that the evidence they had against Nicosia was grounds for an immediate dismissal. Nicosia continued to maintain that the proper steps that were drawn out in the employee handbook were not followed properly at his termination. He stated that the 11 page document which laid out the details of termination was not followed in the proceedings. He also asserted that the 160 page manual that was given him upon hiring constitutes an implied employee contract and when Wakefern terminated him without going through the proper proceedings they breached this contract. Wakefern agreed that the progressive discipline policy was intact during the time that Nicosia was terminated, however, they stated that there were certain actions that required immediate termination and he was allegedly involved in them. They also argued that the manual was not distributed to most and so it could not constitute an implied contract. In this case the courts ruled in favor of the employee and stated that the employee manual did indeed serve as an implied contract between the employee and the company. Witkowski v. Thomas J. Lipton was an employment case in New Jersey that pertained to whether or not an employee handbook is binding enough to constitute an employee contract. These are the types of cases that keep New Jersey employment lawyer, Tayeb Hyderally interested in litigating employment law cases. As cases are tried and judgments are made employment law is shaped and formed over time. The case involving Lipton and Witkowski is one such case. Witkowski was first hired by the Lipton Company in 1980 as a general maintenance mechanic. Upon his termination he argued that the employee handbook constituted a contractual agreement of his employment. He further felt that the employer had not followed the proper termination procedures as were set forth in the manual. However, Lipton asserted that employees were hired “at-will” and could be terminated at any time with or without cause. When Witkowski filed his complaint against Lipton he alleged that he had been wrongfully discharged and this was a breach of contract based on the employment handbook that he was given at the time of employment. The trial court found that the manual did not include a comprehensive termination policy. However, it did have a brief list of actions that would demand immediate release. One of the items on the list of dismissible actions was if an employee was found to have in their possession either an item that was stolen, or an item for which they did not have supervisory permission. During a standard inspection, Witkowski’s locker was found to contain a can of CRC Industrial lubrication oil that was commonly used at the Lipton plant. Even though Witkowski denied that he had stolen the oil and clearly stated that he had obtained the permission of his immediate supervisor, Lipton immediately terminated him. The employment manual provided by Lipton upon initial employment has several sections. Under Section II the heading, “Warning Notices” can be found. This notice states that there are certain actions for which an employee may receive a warning. Then it lists some serious infractions that are grounds for immediate dismissal. Among the 7 examples that are serious infractions is number 7 which states, “Stealing or unauthorized possession of company property.” This statement was grounds enough for Witkowski to be released from his position immediately. The courts stated that the Lipton manual did indeed create a type of implied employment contract and this gave the company the right to govern termination of employees. 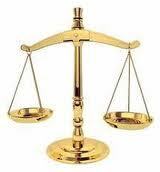 Tayeb Hyderally is very experienced in New Jersey Employment law. He has developed his expertise through many years of successful litigation and thorough study in the field of employment law. It is the wide variety of topics in the subject that has kept Mr. Hyderally interested in the field for all these years. Of the many cases he has studied Terrio v. Millinockey Community Hospital has been one of the most interesting. June Terrio was a highly trained medical technician and worked in the medical laboratory of Millinockey Community Hospital. When she was first employed she was the only personnel who worked in the laboratory and was solely responsible for making all necessary purchases and performing all lab testing. She reportedly delivered high quality work and those who worked with her vouched for her competence even while she was in a supervisory position. Through the years the hospital continued to award her periodic raised and there was never any question of her performance and its quality. A resident pathologist was placed in charge of the lab and some witnesses stated that Ms. Terrio had been insubordinate and was not doing satisfactory work. During this same time frame she was given an increase in pay and was also allowed to choose better working hours and was reassured that her job was secure as stated by hospital authorities. The new pathologist threatened to resign unless Ms. Terrio was let go, the hospital administrator decided to terminate her employment. She was then 58 years old and had been working for the hospital for about 20 years. Ms. Terrio pursued a law suit on the basis that she was dismissed without cause and it constituted a breach of contract based on the verbal agreement with the administrator previously. The oral contract and her employment record lined up with the “Personnel Policy” and the “Employees Retirement Plan” to form an enforceable contract. This was defined to be in place until the time of retirement, the age of 65. The hospital tried to argue that there was not a written contract to be broken and evidence was sparse. When Ms. Terrio won her case the hospital filed an appeal based on the lack of evidence but it was denied by the court. This case set the precedent that substantiates the validity of a verbal contract between employer and employee.